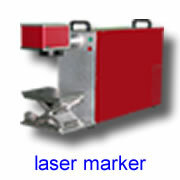 Universal Laser Systems, Inc. is an industry pioneer and highest volume manufacturer of computer-controlled CO2 laser systems used for laser marking, engraving and cutting operations. 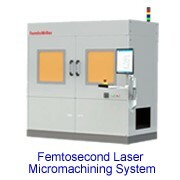 We have designed, manufactured and shipped thousands of CO2 laser systems worldwide. Universal is also one of the world’s largest suppliers of CO2 lasers. In 1998 we introduced the industry’s first complete line of air-cooled, RF-excited CO2 lasers. Since then, we have consistently outpaced the market with new state-of-the-art technological advancements in CO2 lasers and laser systems. Sintec Optronics is an authorized distributor for Universal Laser Systems in Asia. Universal Laser Systems, Inc. manufactures computer controlled laser engraving, laser cutting and laser marking systems. Our laser processing systems transform images or drawings on your computer screen into real items made out of an amazing variety of materials... wood, plastic, fabric, paper, glass, leather, stone, ceramic, rubber... and they are as easy to use as your printer. 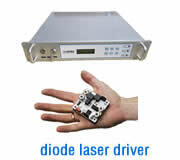 10 Watts – Low power level for light engraving and thin material cutting. 25-35 Watts – Entry-level production power level for standard engraving and cutting operations at moderate speed and high speed low power engraving. Not recommended for thick cutting or dual head applications. 40-60 Watts – Medium production power level for deeper, high speed engraving and thick cutting operations at moderate speed. 65-80 Watts – High production power level provides increased throughput, deep engraving and cutting. 85-120 Watts – Very high production power level that is ideal for heavy cutting and deep, higher throughput engraving. Ideal for use with dual head. In a dual laser system (X2-SuperSpeed only), turning one laser off is helpful for precision engraving of very low power materials. The entire Professional Series laser system – including the CO2 laser cartridge, platform chassis, electronics and software interface – is designed and manufactured by Universal Laser Systems. Every aspect of the system has been tuned to work together in perfect harmony to provide the best possible cutting, marking and engraving quality. Universal’s superior engineering and innovative technology result in systems that provide years of profitable, reliable and productive service. l The Professional series is designed for new and experienced users with demanding production requirements. l The advanced Laser Interface+ materials-based print allows user to choose between automatic and manual settings. 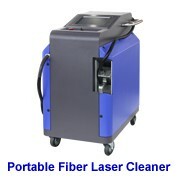 l Systems are available with 10 to 120 watts of air-cooled laser power. l Field upgradeable firmware and software and flash upgradeable electronics extend the useful life of the system. l Four focusing modes are available, including motorized manual focus, auto focus, focusing from front LCD panel and through the print driver. l A 2.0” (50mm) focal length lens is standard; optional lenses are available. l Users can set and run multiple focus settings in same job. l Users can save, store and load material job settings on the fly. l Run time estimator provides an estimate of the time needed to run a job. l Relocatable origin resets the home position origin to work with your graphic software with 0.001” resolution. l Proportional pulse control (patented) provides userdefinable spacing between laser pulses for better engraving or cutting quality. l Multiple language support is available for ease of operation. 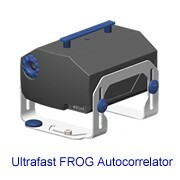 l The system auto-detects the rotary fixture, cutting table and air compressor upon installation. l Shielded, interchangeable focusing optics stay cleaner for a longer period of time. VersaLaser functions like a true plug and play computer peripheral. It has a friendly, materials-based print driver that eliminates complex power, speed and materials calculations. 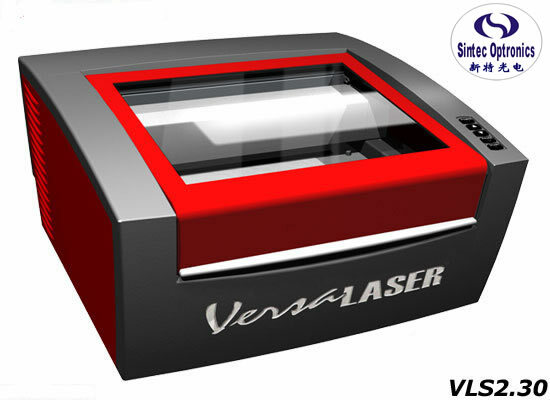 Affordable, easy to use and easy to install, VersaLaser is a great first step to expanding into the laser market. Available in 16"x12" or 24"x12" engraving areas and five laser power options.